Tetepa Music frontliner Fameye, known for the popular song 'Addiction' is set to wow the nation with his yet to be released dope Hi-Life tune titled 'Barman'. According to him, the song was written based on our Ghanaian proverb "tintotontin y3 nom nsa no na y3 fa adwen"; Which means lets think whiles we drinking. The song also talks about our family life and life as a whole. 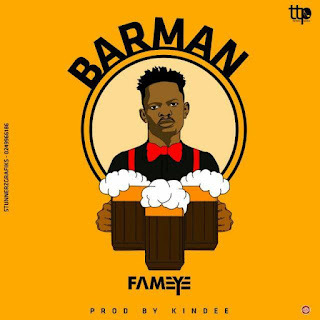 'Barman' is produced by one of Ghana's best producers Kindee and is set to be released on the 2nd of February, 2018.